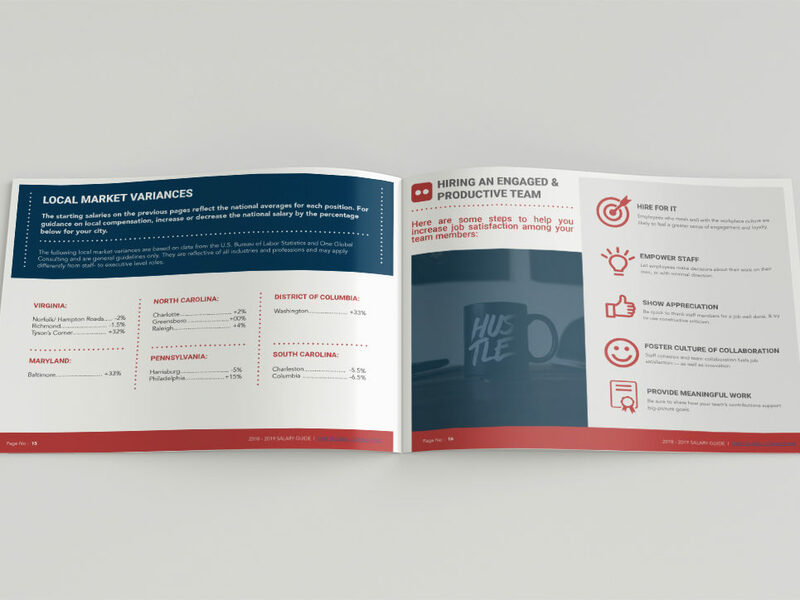 Shortly after launching, One Global decided they needed something to help set them apart from other recruiting firms and boost their credentials amongst other firms. 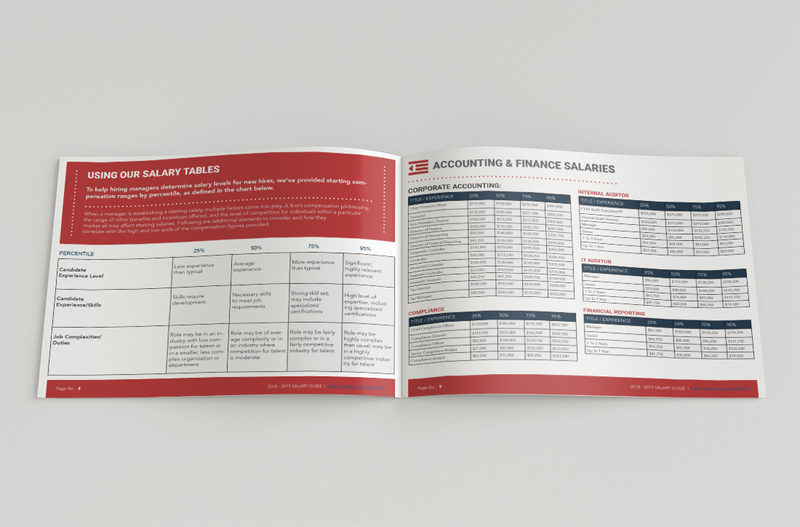 They came to me with the idea of putting together a salary guide booklet for each of their four areas of expertise (accounting & finance, IT, Healthcare, and sales). 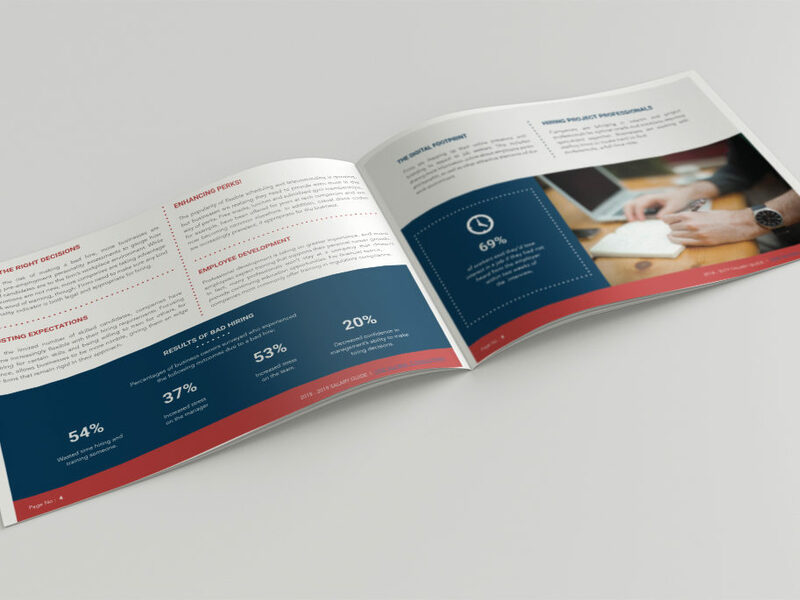 I got to work conceptualizing a great print design layout that would be unique and display all the pertinent information in a beautiful way. 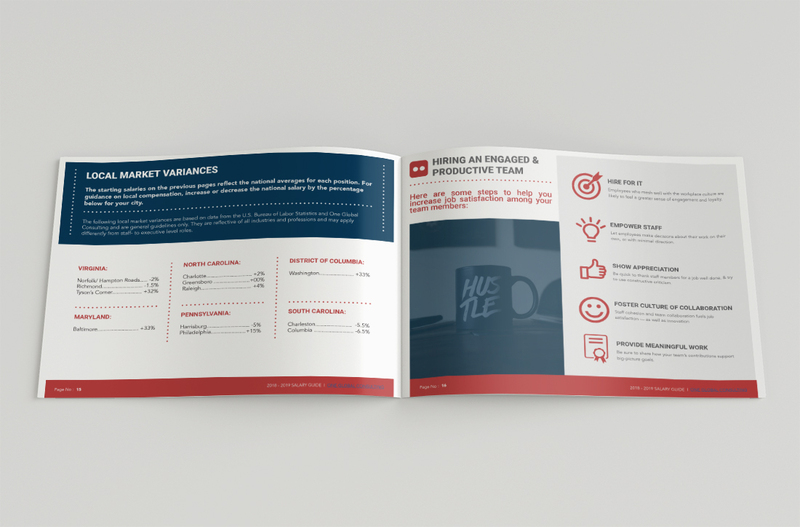 After a few different drafts and brainstorming sessions, I came up with this. 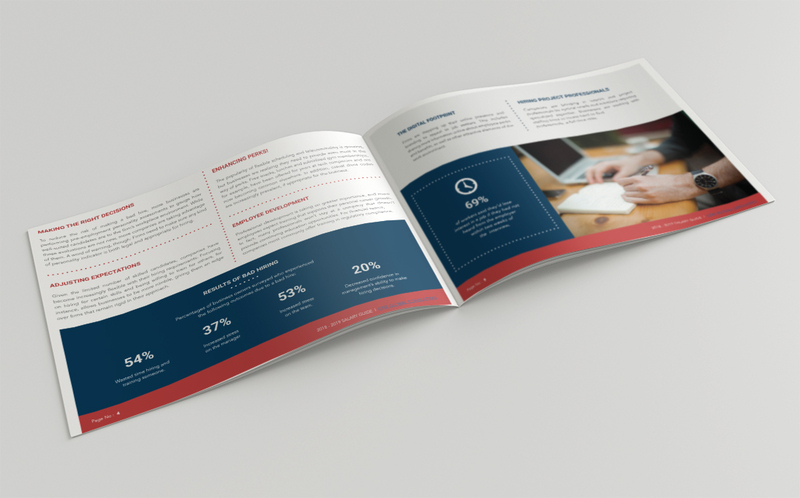 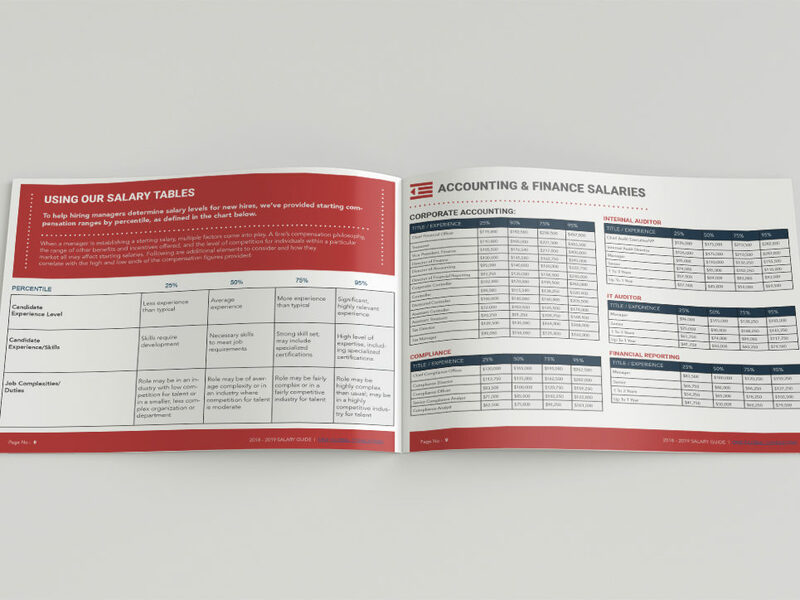 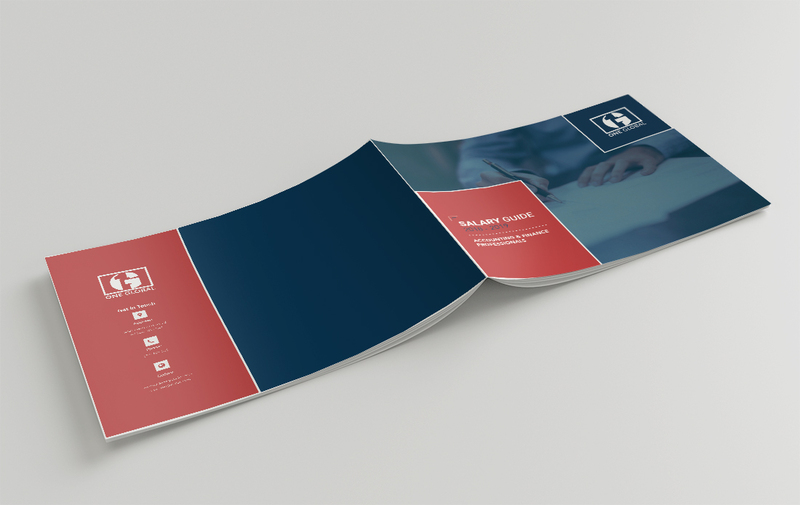 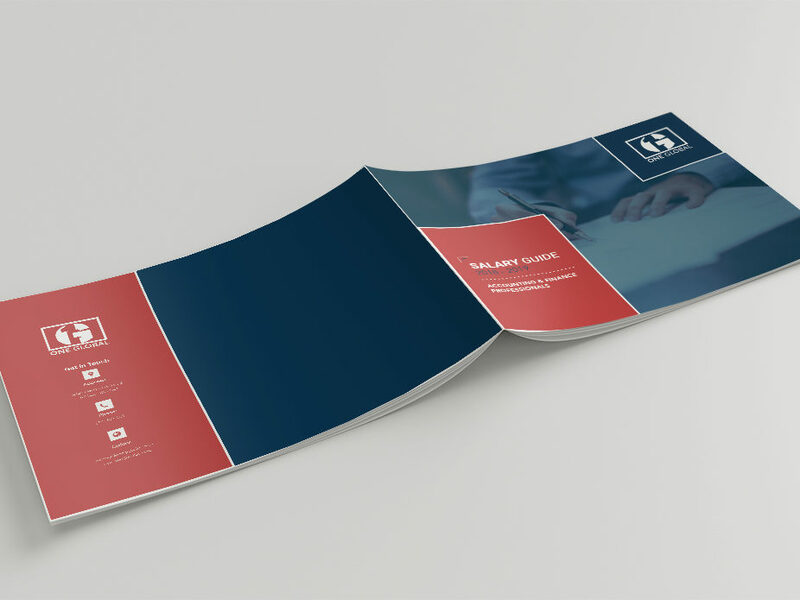 The result: a salary guide booklet that perfectly matches the brand’s style and helps set them apart from their competitors in this crowded space.